November is here! Pikachu and Melon can't wait for December to come as they'll be going to Hong Kong and Japan (again!). 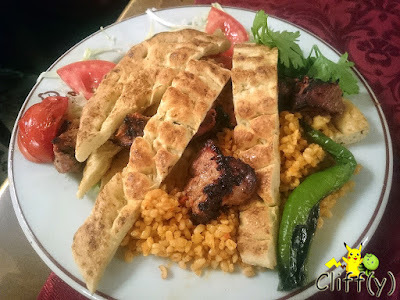 For the time being, let's continue with our food review at Istanbul, Turkey. Istiklal Caddesi is Istanbul's Orchard Road, bustling with avid shoppers and street performers. After walking around for so long, my BFF and I decided to give Konak Kebap a try for dinner. Initially, we wanted to find a particular vegetarian restaurant there, but to no avail. 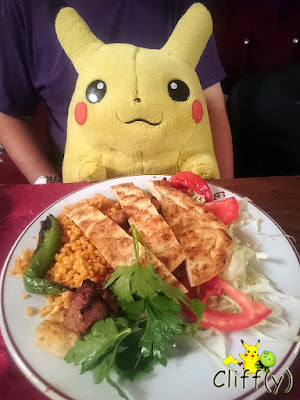 Pikachu was so happy that he finally got to sit down. 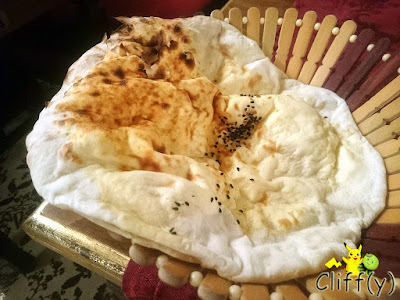 Instead of the more ubiquitous baguette, something akin to pita bread was served in the restaurant. It was a bit too flimsy for my liking. 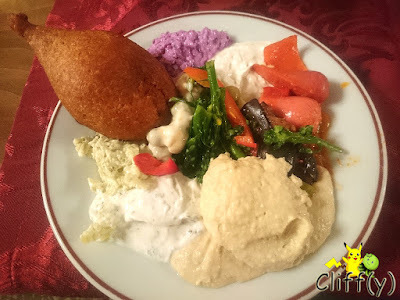 Undecided about what to have for appetiser, my BFF and I went for the Turkish mixed items served on a small plate. It was really fun sampling all the different items. I truly enjoyed the fried pouch chock full of minced lamb. Equally good was the smooth and creamy hummus. 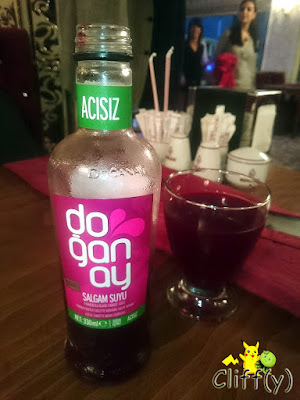 Having heard about the existence of Turkish style pizza, we made it a point to give it a try since we happened to see it on the menu. 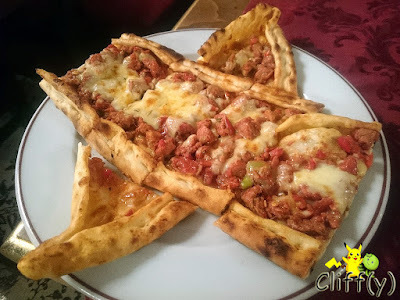 Shaped like a boat, the pizza with cheese, minced meat and sausages wasn't particularly good. The taste was somewhat monotonous, while the pizza crust wasn't that crispy. I've just come to a realisation that we focused too much on lamb for the dinner that evening. Anyway, the grilled lamb was quite flavourful, but pretty dry. It was interesting to see the strips of bread, each having a chewy texture, on top of the short-grain rice. 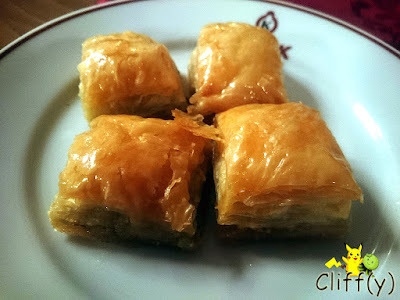 Baklava (Turkish pastry made of layers of filo and sweetened with simply syrup or the likes) is probably the most well-known Turkish pastry of all times. The ones served in the restaurant were crispy alright without being overly sweet, filled with ground pistachios. 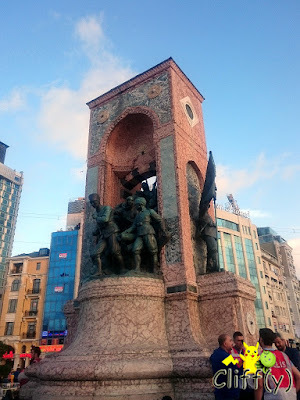 Prior to walking to Istiklal Caddesi, we stopped by Taksim Square to see the Republic Monument shown below. It was built to commemorate the formation of the Turkish Republic in 1923.